The Ferrari park inside PortAventura is scheduled to open in 2016. Ferrari and PortAventura Entertainment plan to build a new Ferrari Land amusement park inside the PortAventura resort near Barcelona, Spain. The theme park will have attractions like Europe's highest and fastest roller coaster, five-star accommodations, 250 hotel rooms and a driving simulator. The price tag for the project is about 100 million euros. The park in PortAventura is scheduled to open in 2016. The existing resort caters to 4 million visitors per year -- 50 percent from outside Spain. 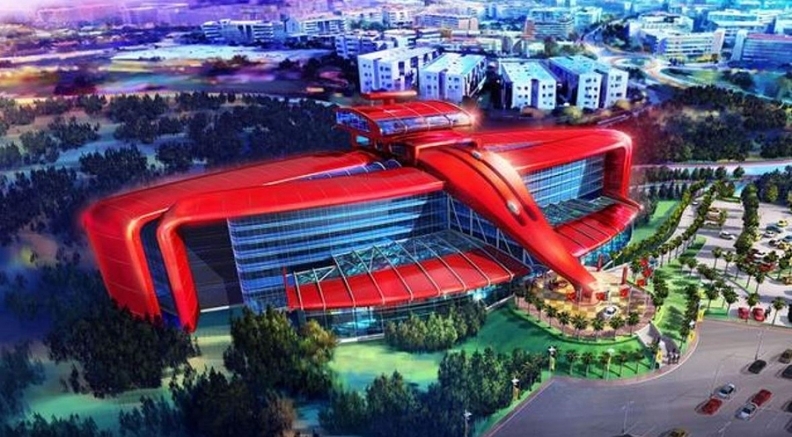 "After the success of Ferrari World in Abu Dhabi, we received many, many requests to develop new amusement parks," Ferrari brand CEO Andrea Perrone said. "We carefully sifted through the various proposals and decided to accept Investindustrial’s. "This new license further underscores our brand's presence in this area. Ferrari Land will delight the whole family and not just Formula One fans," he said. "We will continue to evaluate other proposals for theme parks outside Europe at our leisure; the brand is our most important asset and we have to enhance its value without diluting it."